I researched the internet for 2 weeks before I made the decision to buy a Zager. I've only tried guitars in stores. This one felt like it fit me just right. It was a lot easier for me to fret the strings because they are a little farther apart. And I really liked how it felt solid and the finish looked like master craftsman work! I don't have to press as hard on the strings because of the lower action. Just from what I had seen in stores I'd say around a thousand bucks! I've never had customer support from anything I've ever purchased that's as good as Zager. FAST response to questions, and the 2 things I had questions about got solved to my satisfaction and quickly. Other companies should use Zager as a benchmark for the service quality. Heck YES! Mine is over 2 years old with lots of newbie beginner playing and handling and it still looks new. Very good quality. I have a neighbor with a Martin and when I go over she wants to play mine because she likes the tone better. I have a couple of other friends who said they can't believe the tone is so good in this price range. One of them bought a Zager ZAD80 because of the tone alone. I was 64 when I bought this from Zager, a total beginner on guitar. After 3 months I was able to play a few songs along with a friend (chords only). I don't think I could have done that in that time period if I'd had a different brand thanks to the EZ Play of the lower action and the strings being a little farther apart. It's enjoyable to practice as I can play longer. 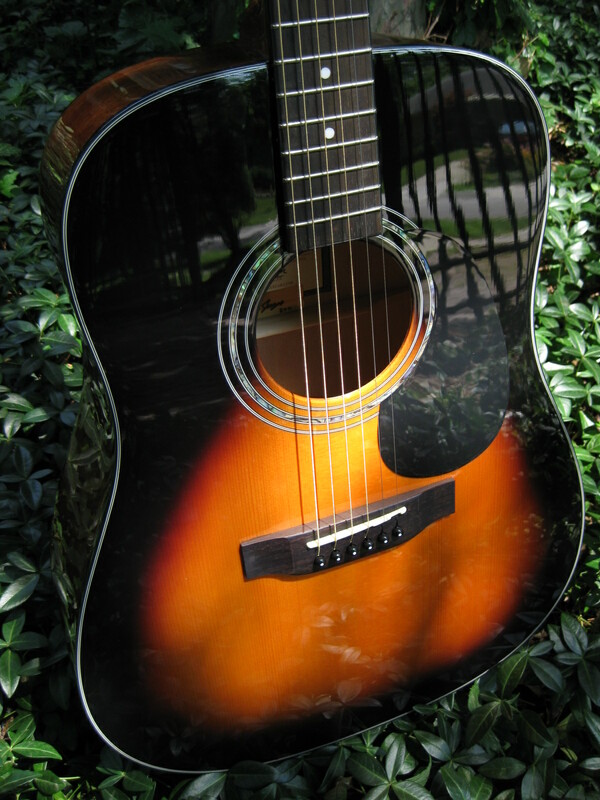 The finish on this Sunburst model is excellent and I've had comments on how nice it looks. I've seen another Zager that wasn't a Sunburst and the finish looked incredible! A fishing buddy of mine who used to live in Nebraska has been telling me for over a year now that I should try one of the Zager guitars because they are a high quality guitar sold at a moderate price. At the present time I have 7 guitars that range in price from around $ $699.00 to over $3,000.00. 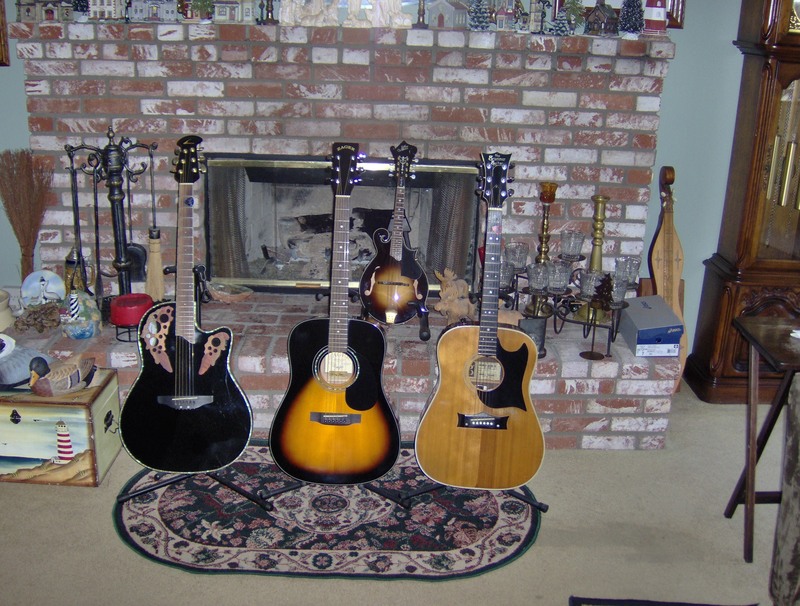 Among those is a Gibson,a Martin, a Gretsch, a Takamine & a Framus that I've had for 41 years. 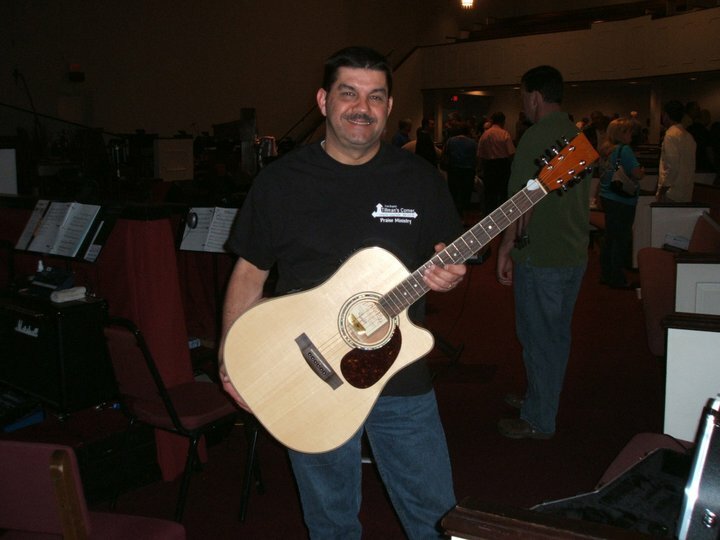 I recently purchased a 900ce Zager acoustic/electric From Dennis Zager JR. & from the time I opened up that great looking hard case and saw that absolutely beautiful guitar it was love at first sight! The 900ce is as close as a guitar will ever come to being a fine piece of art. I can honestly say that it plays as good as it looks and it comes with a 100% satisfaction Guarantee that I certainly didn't get with any of my other guitar's. It was a pleasurable experience buying the guitar from Zager and I hope they keep up the great work they are doing for you and me. Sorry but I don't have a favorite part. I love everything about this guitar from the quality woods used,the fine finish, the tone and easy playability. I just don't see how you can top this guitar. I used to think my Gibson J185 was great but it is going to take a back seat to this 900ce. Well my Gibson was over $3000.00 and the 900ce is a far better quality guitar so I would guess between $4,000.00 and $5,000.00. I haven't had the need to try customer support as yet except when I ordered the guitar and as I said earlier that was a pleasurable experience done by e-mail & hearing back immediately from Dennis Zager Jr & also Jill. I not only would but already have recommended it to a friend of mine because it is my personal opinion that you are going to have to go a long ways to find a guitar of this quality for the price I paid for it. I just wanted to thank my fishing buddy Skip for telling me about Zager guitar's. You were justified in bragging about what a great guitar Zager is making. Compares very favorably with my Zager ZAD 20 and that is a good thing! Could not find anything in the stores that can match it. The shorter scale. I have a shoulder problem that makes a full size dread uncomfortable.For me the Zager Parlor fits just right and still has the playability and quality of my ZAD 20. Excellant. Have not had any problems but any questions have been answered very promptly. Certainly. I would recommend the Zager line to anyone. I stumbled across a Zager guitar in an online auction. I love my Zager! 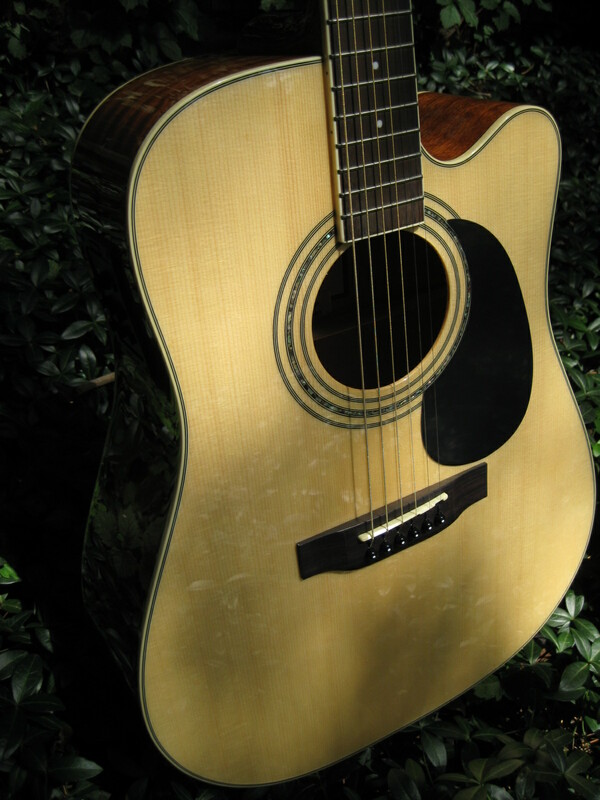 It is my first acoustic guitar with this nice of build quality, playability, and incredible sound. Doesn't hurt that it is so beautiful as well! How nice it feels to play and the overall quality. Awesome!!! Can't believe how great Zager is to deal with. They have been so helpful and generous to me. Really incredible especially since I got the guitar used. Yes, without question. It is an awesome high quality guitar for an incredible price. I know I paid less since I got it used but now that I know about Zager and have played one I would definitely purchase a new one from them and it still would be a bargain. Add on top of a truly excellent guitar you have a great company with exceptional customer service backing the guitar, what more could you want. If you're looking for a guitar get a Zager, you won't be sorry! My Dad was doing an internet search to try and find a guitar for him and he bought one for me. I cannot single out one specific part or item. I love everything. I already have recommended to others because of the quality, the sound, the ease in which it plays, (no more squeaks or bleeding fingers) and the price. I actually did my internet research when I first started looking for a new guitar. I was impressed with Denny's ideas. I was convinced by the online content I saw on the Zager website. There is no comparison between this guitar and the one I was playing before. This guitar lives up to the billing, it is incredibly easy to play. I play in church with guys who own upper line Martin's. They have all played my guitar and love it. In fact, I often allow them to use it as a back up when I am not playing. They pick it up and feel just as comfortable as playing their own. The easy playing of the guitar is second to none. I have played a lot of guitars with very nice action, but I am always amazed when I come back to my Zager. It just doesn't get any better. I would expect the guitar to be over $1000 if I got a great deal. $1200-$1500 would still seem reasonable to me. I honestly have never had a company respond so quickly to solve my issues. Second to none! I not only would recommend Zager guitars to others, but I have. My brother purchased his ZAD 20CE less than a year ago and is just as happy as I am. He had a great buying experience. I happily recommend Zager to anyone looking for a great guitar. This is a much nicer made guitar then any i have owned.... Neck plays so much easier on my hands. Great looking guitar! I would recommend this all beginners to intermediate plays.... Best Price - Performance I know of. FOUND YOU ON THE WEB AND GLAD I DID! BEING A SENIOR AND HAVING ARTHRITIS IN MY HANDS, I WAS NOT ABLE TO PLAY AS MUCH AS I WANTED DUE TO PAIN. SINCE I HAVE RECEIVED YOUR GUITAR I HAVE BEEN ABLE TO PLAY AS LONG AS I WANT TO, NO PROBLEMS.THE LIGHT ACTION IS TRULY E-Z PLAY BUT WITHOUT GIVING UP ANY SOUND QUALITY. I ALREADY HAVE. IT IS BUILT BY A COMPANY THAT HAS A GREAT LOVE OF MUSIC AND CARES ABOUT THEIR CUSTOMERS, A RARITY IN THIS DAY AND AGE. I DO LIKE TO BUY ANY PRODUCT SIGHT UNSEEN BUT AFTER LOOKING OVER THE WEB SITE AND READING THE REVIEWS I DECIDED TO TAKE A CHANCE. AFTER EXPERIENCING ZAGER GUITARS CUSTOMER SERVICE, THEN RECEIVING A PRODUCT THAT IS TRULY A QUALITY INSTRUMENT. ALL I CAN SAY IS YOUR COMPANY IS THE REAL DEAL. INTEGRITY AND SERVICE AGAIN THANK YOU DENNY AND DENNIS JR.
the sound is equal to my Gibson J45 but i can tell there is a distinct difference in the two guitars......great sound!! it's easy to play and fingers are less sore....but the guitar is a great looking instrument and i love the sunburst color. yes....i have and will continue to do so....i know of 2 guitars purhcased from zager based on my referral, and the friend and his father who purchased the guitars also referred Zager to someone else who purchased one as well. i just love this guitar....the workmanship and finish are beautiful and am glad to finally have a Zager of my own. I love the narrow neck....my hands are small and that has always been an issue for me.....everything about the guitar is awesome! 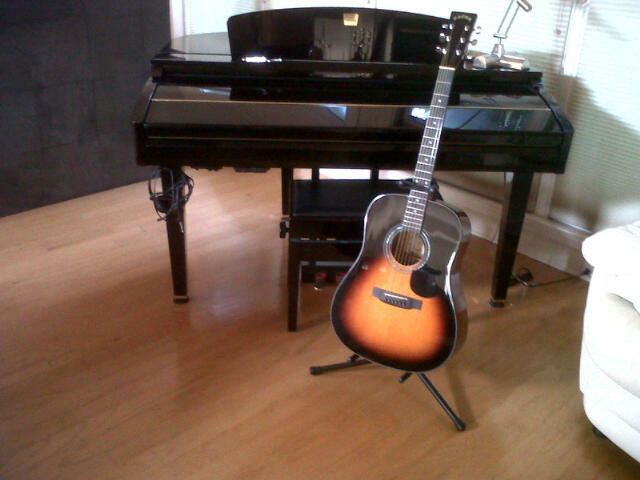 my guitars are usually up in my music/art studio room on the second level of my home, but this one is proudly displayed by my digital player piano that also serves as a amplifier since it is an acoutic electric. Denny, thanks again for coming out of retirement--i thought i had missed an opportunity to own one of your guitars!! I found this Brand (Zager) on eBay. I was looking at Tayor guitars in the local shops and played several of them. I would have to say that the Zager ZAD80CE OM that I got plays as good as if not better that the $2,200.00 Martin I was looking at. I like everything about it. But if I had to choose one thing it would be how easy it is to play. It is alot easier to play bar chords on than most acoustic guitars and you dont have to press as hard to get the note to sound clean. Like I mensioned above I feel like this Guitar is as good or better than the gutars I looked at in the $2000 to $3000 range. Dennis helped me with in a hour after emailing him questions I had. Fast and friendly. I do recommend this gutar to others and so does anyone I let play it. Great guitar Great price Great people! Best of luck even though you dont need it with the skill you posses. Absolutely the best I have tried so far!! I am pretty new learner, but have tried Gibson's, Aspen, and Oscar Schmidt's and this one is without a doubt the best sounding of those, and the easiest to play. I love the solid sound and the softness of the stings. My fingers are much happier! The case is also spectacular. Absolute quality with all of Denny's products. double or triple what I paid. Absolutely!! I can hardly wait for a few friends, more experienced than I, to try my new baby out! The quality of the Zager guitars is a good or better than anything on the market. How easy it is on my fingers. I play on our church's worship team and I have to play 3 services on the weekends. I have never played a guitar that was so easy to play. Zager has the best customer support I have ever dealt with. The guitars are top of the line, easy to play and if there is a problem it is taken care of immediately, no questions asked. The other guitar players at my church are going to buy Zager guitars after playing mine. This is my second Zager guitar. I had a problem with the electronics on my recently purchased guitar and Zager sent me a new guitar as soon as I told them about it. I have never heard of customer service like this. Also, when you send a email to Zager, Dennis usually answers back within just a couple of minutes no matter what time of day or night. Awesome!!!! I found one on ebay and read really great reviews about it. It sounds so much better than what I have, feels much lighter and easier to handle than those Iève tried in stores. Fantastic, Dennis Jr. was great to work with. Already have, because I think it is a great guitar for the money. On eBay while searching for acoustic electric guitars, I came upon one being auctioned. And, I did a search and was pleasantly surprised at the find. This guitar has a better sound and feel than more expensive ones that I have sampled in the guitar stores. I haven't needed customer support, but they have offered quick support should I need it. And, I believe that they would. Absolutely. I would and have recommended Zager guitars for their sound, quality and playability. I feel vwery fortunate to have found Zager guitars when I was close to purchasing a lesser quality one for the same money. I was looking for guitars on ebay. Followed the trail to the Zager site and began exploring. This guitar - saying amazing doesn't fully explain the craftsmanship, the sound, the ease of playing cannot be overstated. The people behind the Zager name are quality as well. I haven't played guitar in years and fixed up my Alvarez-Yairi to begin playing again, the familiar painful fingers/hand cramps were right back. I picked up this guitar and it was literally effortless. I was struggling with a particular cord and I could do it easily on the Zager. I cannot wait to work up to my next Zager. You WANT to play this guitar, the instrument works with you not against you. The sound is beautiful. The electronics are great too. It is hard to pick one thing. If I had to choose it would be the play ability. Quickly followed by the beauty/sound of the instrument. Well over $800 maybe higher looking at the quality of the materials used in the product. I cannot wait to play the instrument. I have been looking at a lot of guitars over the past month and this one beats them all in quality, pricing, and performance. Unprecedented in many ways. Who stands behind their produce with a money back guarantee like Zager's? Dennis Jr., answered my questions quickly, found me a guitar in my budget, shipped it out promptly and continues to answer all questions regardless of content. I have a friend with arthritis in his hands, he had to give up guitar. I am planning to take my new Zager to him and have him try it. I am so convinced that he will be able to play it pain free. Yes I would recommend this guitar and I have commented as to why throughout the feedback. Anyone who stands behind their product like Zager does believes in it. If you want a quality guitar without risk, call them today. You have zero risk. They will work with you. I have complete confidence in that statement. I also appreciate the post sale support with videos to care for your instrument, tips, and general guidance. This is a complete transaction, not a music store chain guitar sale. This is a relationship with the guitar/customer at the center. Mr. Zager Sr.and Mr. Zager Jr., thank you for the experience. No comparison. Other acoustic guitars I've played made my fingers get numb and fatigued. Because of my small hands I could never play a bass note with my thumb. With the Zager I don't get finger fatigue or the numbness as easily. Already have and I don't have to give a lot of detail once they play it! I came across it while searching the internet for other brands of guitars. I have 12 acoustic guitars, 6 are vintage. I've been playing guitar for more than 43 years. I would have to say I would compare the ZAD20 Sunburst with my 1968 Grammer G-10 (spruce top and brazillian rosewood back and sides). I always compare guitars that I've played to my Grammer. That is Martins and Gibsons that cost in the range of $1000.00 to $2000.00. Although some of these guitars have been very pleasing to look at but very hard to play. The ZAD20 Sunburst plays and sounds like my vintage Grammer. Easy to play with a very sweet tone! I love every bit of it. The workmanship on this guitar is outstanding. It is very pleasing to the eye and sounds as good as it looks. I would estimate the price of this guitar to be in the range of $1200.00 to $2000.00. I would rate the customer support with a 10. 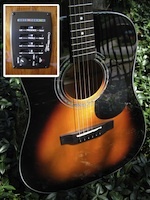 Denny Jr always answered my e-mails within a timely manner, and he answered all my questions about the ZAD20 Sunburst. Yes, I would recommend any of the Zager Guitars to my friends. The workmanship is great, the tone is wonderful and you can't beat the price. Surfing the web one night. No compareson, this guitar playes better than some of my best guitars, like my Guild, Martin. The ease to play and it stays in tune what more could one ask of a new guitar. yes I would because it is so easy to finger the tone of the guitar. I found your guitars on ebay the first time I saw them. This is the easiest guitar I've ever played!! The action is incredibly low and the string spacing keeps me from accidentally touching the other strings. i love playing it! I have had it for 5 years and have never been able to match its playability. Once again its super easy to play. My particular model it would guess around $700. The best customer support. I had free shipping. Life time warranty. I couldn't go wrong buying this guitar, even if I hadn't heard of this brand before. My emails have all ben answered promptly and courteously. Again I would recommend this guitar to anyone, new and seasoned players. The action and tone are great. My friend, Ed Boye recommended a Zager guitar when I had trouble sustaining enough pressure on the strings of my 'learner' guitar. There is no comparison to a Zager. I went to a local music store to find a strap and I shared with owner the ease of playing the Zager. He began showing me his line of guitars, saying that his had the same features for less money, then asked if he could try mine. He began playing for a few miuutes then handed it back saying, "You keep this guitar, honey, you,ve got a good one." In order, my favorite part of the Parlor is--well, I can't decide -- the size, the craftsmanship, the sound, or the way the strings rarely need tuning, but probably the pride I feel in owning and "playing" such a quality instrument. I don't have enough experience to make a price comparison, but my impression is that I certainly found a bargain! Customer support has beeb top notch. The most outstanding feature of the Zager customer service is the personal touch I have felt. I will and have already recommended the Zager based on the pleasure I am experiencing with my Zager Parlor mahogany, the quality craftsmanship, the comparative ease of playing, the ease of the online purchase and someday, the sound of the music coming from it. Thanks to Dennis Zager, the designer and craftsmam, and to Dennis, Jr., Jill and anyone else who makes this business so pleasant. I was on the internet, looking to buy a guitar. Your web site told a good story, the product looked great, warranty was impressive, and your price was great. I feel the Zager plays easier, the fit and finish is awsome. The dreadnot body produces a great sound, even with out using a amp, however I do use my amp at gigs. I don't know why, but it is easier to play. The playability, fit and finish looks great, and price. Yes. I already have. If I like a product, I am not bashful about spreading the word. I am 70 years old, and have been in retail all my working years. A happy customer is the best advertisement. I am enjoying playing more, and with a great guitar it makes it so much fun. 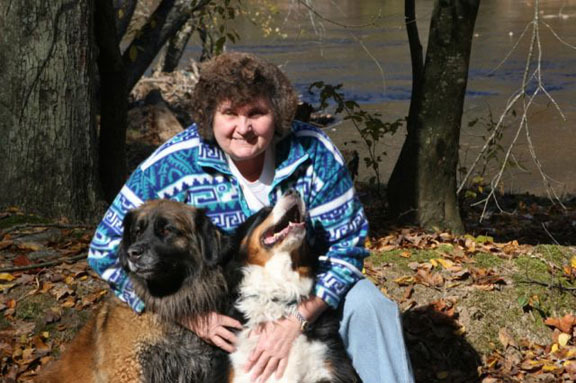 I just lost my wife to a 4 year battle with lung cancer. Your guitar has made those caregiving days more bareable. Now we are playing 6 gigs per month for Mo. Veterans Home, Senior center, and a nursing home. It's lots of fun, and a worthy cause. I was searching online for guitars. I have always loved guitar music and had tried my hand at trying to learn the guitar some years back, unfortunately with a far inferior product. My enthusiasm to learn was dashed because of the difficulty to play the instrument I had. When I saw Zager easy-play, I had to check it out because my love of guitar music never diminished. Its like comparing a burro with a race horse. The race horse of course being the Zager. Since I am a beginner, and still not knowing the difference between the sound of the cords or anything else, my favorite part of the guitar is it's appearance and the fact that it has an auto tuner. Just looking at the guitar I would guess it would be above my price range. 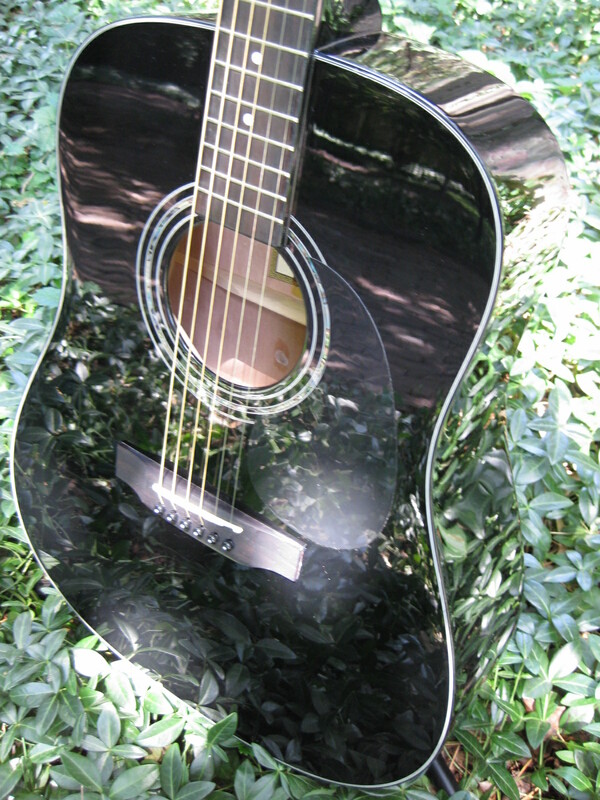 I just received my guitar today, 7-29-11, and to date the customer service has been first rate. Couldn't ask for more. I would recommend,and will recommend, this guitar to any and everyone who is looking for a fine guitar which also looks like a fine work of art. Great, it plays and sounds better than most Martins. absolutly. Plays great, sounds great, and cheap. Not cheaply made. I already owned a Zager ZAD80CEOM, but owning two houses about 600 miles from each other, I grew tired of carrying my Zager back and forth. Since I play a lot, and do some entertaining at both homes, I wanted to have my favorite guitar at each place. So I bought a seond ZAD80CEOM. This is a superior guitar, and not only has the best sound I have ever heard, is the easiest to play. It makes me sound better than I am. I have no one favorite part. Tied for first is the beautiful sound it makes, the ease of playing, especially the more complex chords, and the fantastic look of the instrument. First rate. The response is so quick I feel like I am in a conversation with the Zager people, even though I am in Florida and they are in Nebraska. The ease of playing Zager guitars allows you to improve your playing ability, because the action is so player-friendly. And the sound is almost heavenly. When I needed another guitar I never considered any other brand, nor did I go to a music store and try any guitars. I just went to Zager. Found it online searching for guitars. I will not purchase another brand of guitar. The sound and playability are far better than the higher dollars guitars made by another manufacturer that I regularly play with. At least twice as much as they cost. Yes because you will not find a better playing or better sounding guitar or even quality for no where near the cost of a zager. Thanks again for taking enough pride to sell and support such a fine guitar! I was searching for a guitar on Ebay when I saw one offered with the Zager modifications. This got my curiosity up so I searched Zager Guitars on google and found your site, read the testimonials and decided not to waste my money on a inferior product. Easier to compress the strings and form cords. I have large fingers, so the spacing is great. Over all look and sound. I really like the built in tuner. I loaned my Zager to a friend who is playing with an up and coming artist Zhen, who will be playing at the Monterey Reggae Festival July 30 and 31, 2011. They (members of the band) love it so much their taking it with them to the festival. Looks like we're going to have a fight on our hands or I'm going to have to buy another Zager! I heard about Zager guitars doing research on the internet and reading all the impressive reviews about the high quality and great playability of Zagar guitars at a very affordable price. I bought a ZAD-15 "Travel" for my youngest son 7 years ago. Finally bought a ZADCE80 for myself in Feb 2010 after Denny began making them again. Easily the most playable and best sounding guitar I've owned. To be fair, it is also the most expensive guitar I've owned, so comparing it to my others is really no contest. But that is not to say it is very expensive. It is a great price for the quality of guitar you get. It easily stands up against far more expensive guitars I've played. The sound, to be sure, but also the looks. It is just a great looking guitar. Now that I've been playing it daily for about 15 months, the sound is opening up and it just keeps sounding better. If I didn't know better, I'd put it in the range of $3-4,000 guitars. 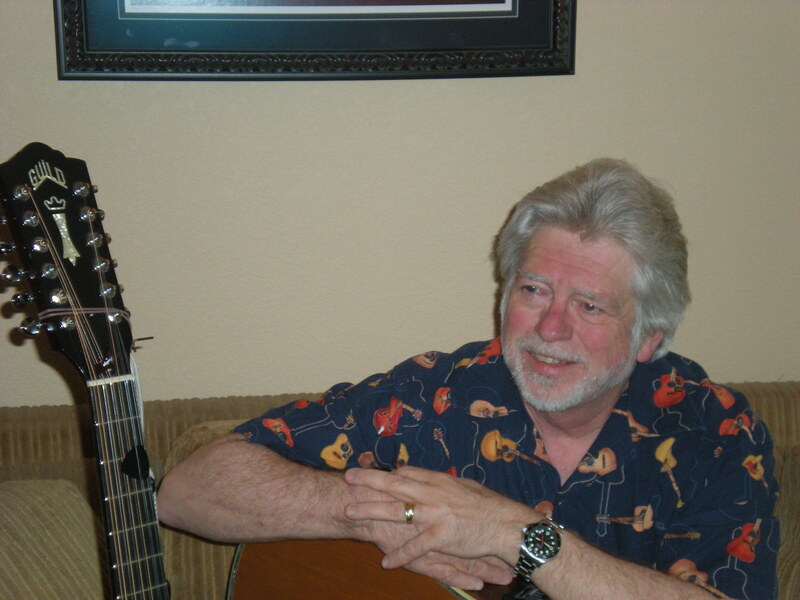 Zager Guitars wouldn't be Zager Guitars without Dennis Jr. The customer support is tremendous. I have recommeded it to many other guitarists. Many times I don't have to say a thing after the borrow it and play it for a bit, they automatically say they want one. I've read many reviews were a Zager owner states that a friend that owns a high-end Martin guitar plays their Zager and then says that the Zager (especially the ZADCE80) plays better than their Martin. While I wasn't necessarily skeptical, I didn't think it would ever happen to me. Then my son's friend, who is a talented acoustic guitarist and who recently bought a high-end acoustic-electric Martin, played my ZADCE80 and loved it and actually said he thought it sounded better and played easier than his Martin. How about that?! Now he likes to grab it and play a bit whenever he is at the house. It plays great, stays in tune, the tuner onboard works great by the way, I hear all kinds of comments re how great my guitar sounds out front, I love that the most. I feel I can count on it, you have to be a musician to understand what I am saying, you just get to know the guitar, and I know mine. Ebay search for guitar. Selected highest price and saw Denny's original Yamaha and read the complete auction and glad I did. My Zager Parlor Mahogany plays as well as guitars in the $1000.00 range and actually to get the same bass response and projection I'd be playing a guitar over $2000.00. 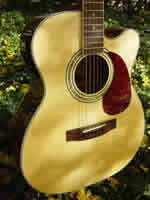 I have a Takamine G series and while I rally like it, it has a much brighter sound and not close in the bass response. I have played over 40 different guitars at a local store of a national guitar chain and this guitar surpasses most of them in sound quality to me. The play-ability too is so much better. 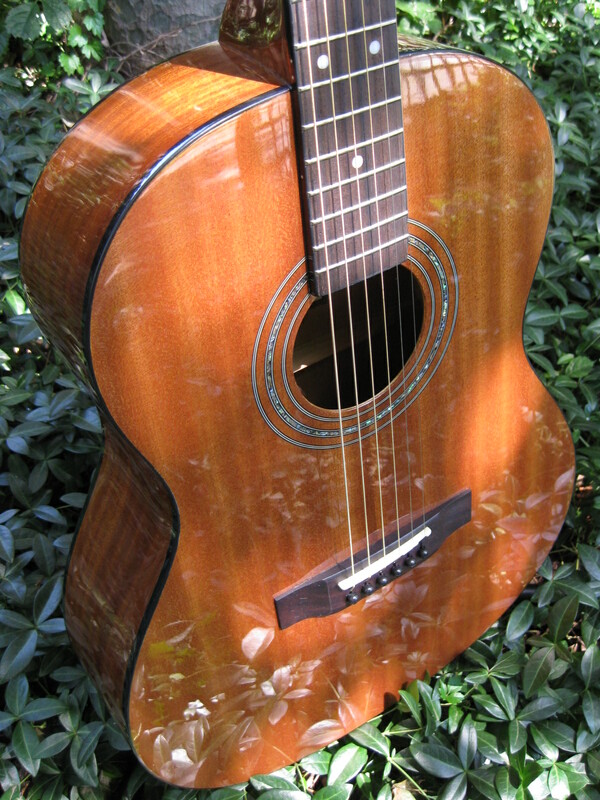 World class, a rare asset that sets Zagar guitar apart from many companies no matter the industry. I have had some questions and Dennis has been quick to respond and make sure all is well. Yes. 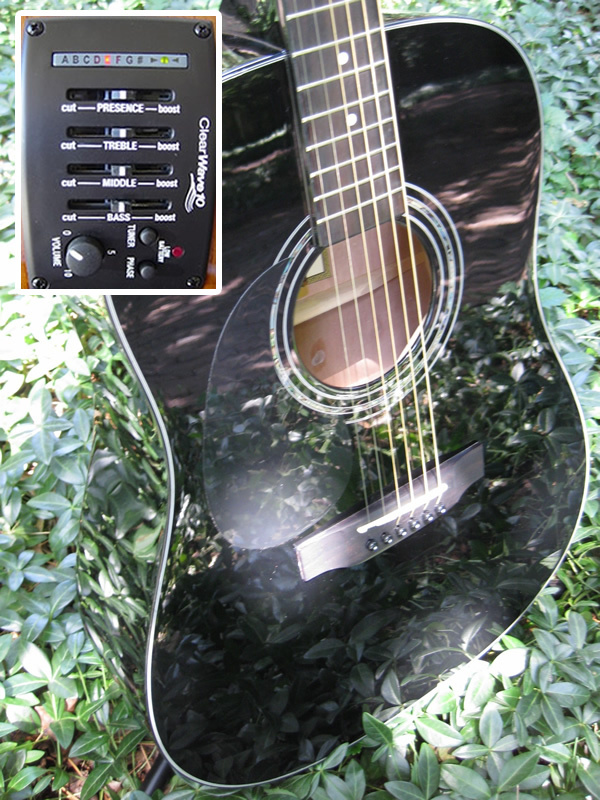 The sound quality for the price, the ease of play and the beauty plus quality of the guitar. I picked this guitar up used and even so I am still being treated as if I am the original owner. 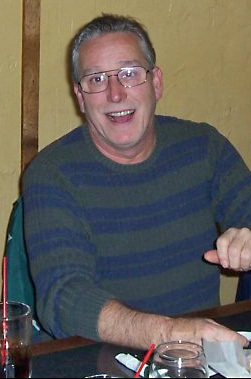 Former boss, Bus.Mgr., CPA ( for whatever this is worth)recently retired as the Eliot Ness of NJ, and guitar enthusiast. I went to web site and ordered. Mostly been a rocker with a Fender Strat, but always loved the full sound of the full dread nought size. Played many, but they never felt right or were too rough on my calloused fingers, so I never bought one thinking none were right for me. If I saw a price tag of, say, $1500-2000, I'd probably say, 'What's not to love?' After all, the only expense I put into this guitar was $18.00 for a strat button on the neck. Next week, I'm going to 'band camp' actually National Guitar Workshop (5 days) for the 4th year,working on serious finger picking for 2-3 years now and I'm bringing this guitar with me to a class (2 of the days)with David Bromberg. Great neck and string spacing. I have never owned a quality guitar before the purchase of my Zager. The ease with which it plays and the sound it produces keep me interested and motivated. I am a novice hand drummer and my drums rarely get used anymore....the guys I jam with don't dig it but I am having fun. As mentioned, the guitar looks and sounds fantastic but I really dig the uniqueness of this instrument. The Zager may be popular elsewhere but I haven't run across them in my neighborhood. I love surprising people with this awesome American made treasure. I am no aficionado but to me this rivals the $2000 guitars that I have strummed in the store. It is much more handsome then pricier guitars. Your service is top notch. I have always received prompt and courteous responses. I don't often make large purchases sight unseen. I am lucky, I have done it twice, my Zager and my dog, both turned out beautifully. I have already recommended your product to numerous people and will continue to do so. Researching my first guitar purchase online. Wanted something good for a beginner. No previous guitars to compare it to, but I'm thrilled with it. Wish my playing lived up to it, but I'm getting there. I love the tone itself. I love the quality construction that is apparent, even to someone relatively new to guitars. And I love your company's integrity and personal commitment to its customers. Absolutely. I'm a living example of a novice player that feels encouraged (rather than discouraged) to play every time I pick it up. There is an ease of playing and quality sound that makes every practice session a treat. I was/am a classacal guitar player, used to nylon strings. I needed a steel string guitar for some special music and a friend recommended a Zager as a transition guitar. 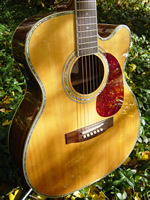 I bought my Zager ZAD 20 OM several years ago and it is my favorite acoustic guitar. I have since acquired several other nice acoustic guitars including a Breedlove,a Dean, and a Larrivee acoustic electric. 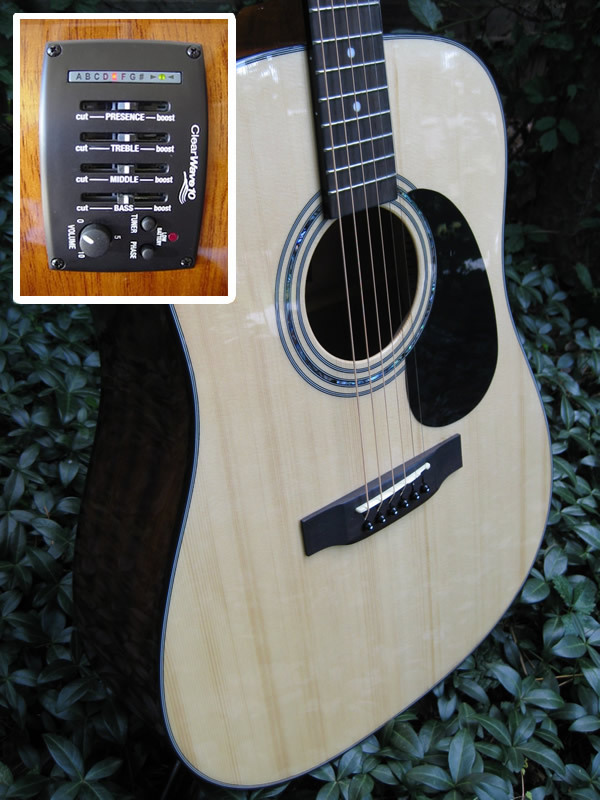 I am now going to purchase a Zager acoustic electric as I am playing longer gids and appreciate the ease of playing plus the sweet tone of Zager guitars. I love the ease of playing Zager guitars, and the sweet tone-- almost piano like at times. I have recommended Zager to others. You can play them for long periods without fatigue and they look and sound great plugged or unplugged. Searching for easy play guitar enternet. Plays as easy as my D-28 that has perfect action. Easy play, good quality built. The support from this company is out of this world. They do what they say they will do and more. They are always giving me something free. If I were buying one guitar it would be a Zager. Quality and service are second to none. I have three Zager guitars of differant models each is of great quality. They sound differant due to size and model but, all are great guitars with the best action. You might not believe all the reviews but, let me tell you it is not hype. 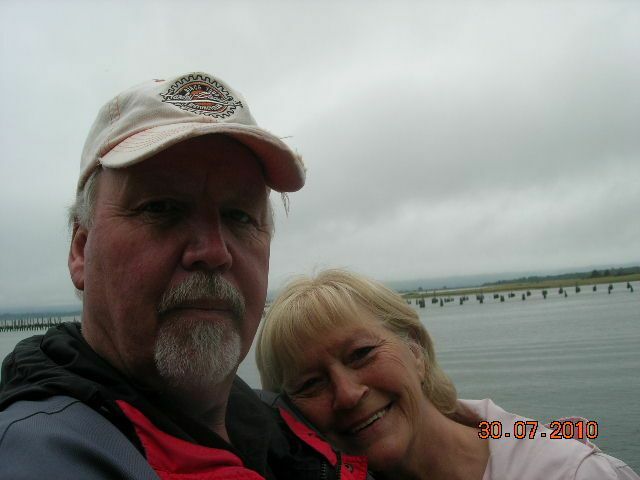 Contact me I will tell you about how good Denny and Dennis Zager are to their customers. Best price on strings and best quality trings I have found. Fast shipping. Your guitar will not sit in a hot truck for days. Two days from shipping and you are playing it. 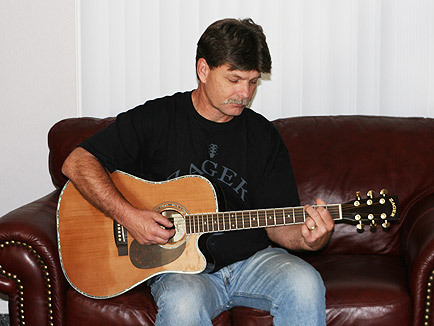 I was searching online for a new guitar and ran across Zager. I would buy something that I had tried in a local shop if I found the same thing at a better price, but was initially sceptical at trying a guitar I had never played. But after reading all the great reviews, especially the ones from players with much more training and skill than I have, I was persuaded to give Zager a try. Am I ever glad I did. I played a number of guitars in the the $2000-3000 range. This one easily matches those. The only guitar I tried that was about equal was $2300 without electronics; and I did not find one that I thought was distinctly better until I tried one from a small luthier that cost $5200. I loved this guitar so much that I decisded to sell my Martin D-21 (with Brazilian rosewood back and sides) that I had played for over 35 years. Brand new, my ZAD80CE had much better sound than the D-21 with thousands of hours of playing on it. And it was so much easier to play! I was able to sell the D-21 for more than twice what I paid for the ZAD80CE. I love the playability and the sound. Great, even volume from bass through treble. Lovely tone. 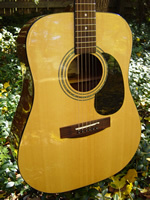 The ZAD80 is much easier to play than the Martin D-21 I played for 35 years. If I walked into a guitar or music store and tried this guitar without knowing anything about it, I would guess that its retail price was $1900-2300. This guitar is really a great value, bringing wonderful quality to those who might avoid $2000 guitars. Superb. Friendly, prompt, and eager to make it a pleasant experience, almost like being in a small, personal luthier's shop. I heartily recommend Zager guitars! While it can seem a little odd to try a guitar without playing it first, the no-questions-asked-we'll-pay-the-return-shipping-if-you-don't-like-it policy makes this a true no risk way of getting wonderful instruments at a great price. I play for friends, including a retired music professor, Charlie. Charlie never commented on my Martin or my Guild 12-string, but the first time he saw and listened to my ZAD80CE he commented on both the appearance and sound quality. This guitar is set up to play with much less effort. I was able to play chords on it on my first try whereas on my older guitar, I often muffled adjoining strings on these chords. Its ease of playing, but it looks beautiful, too. Excellent. Even prior to the purchase, Dennis Zager, Jr., was patient and kind enough to answer a whole host of questions that I had. Once I decided to buy the instrument, I asked that its shipping be delayed as I was going to be out of town. This was not a problem, and everything took place as arranged. Absolutely. After struggling as a beginner to play certain chords and complete exercises associated with lessons, the ease of executing on the Zager guitar was immediately apparent. Upon receiving the guitar, I began to try certain chords that were problematic for me on my older guitar, and I was able to play them clearly on my first try. The guitar was almost completely in tune right out of the box; I had to adjust strings 4, 5, and 6 minimally. Strings 1, 2, and 3 were dead-on. I emailed Dennis Zager, Jr., to advise him that I recieved the guitar and how excited I was once I got my hands on this beautiful instrument. In that email, I told him that I would be sure to advise anyone whom I knew that was interested in buying a guitar to check out the Zager Guitars on the web. I found out about Zager guitars as I was searching the internet. 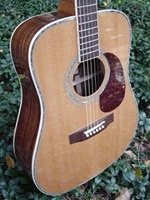 I currently play a 000 rosewood guitar and a martin d-18. 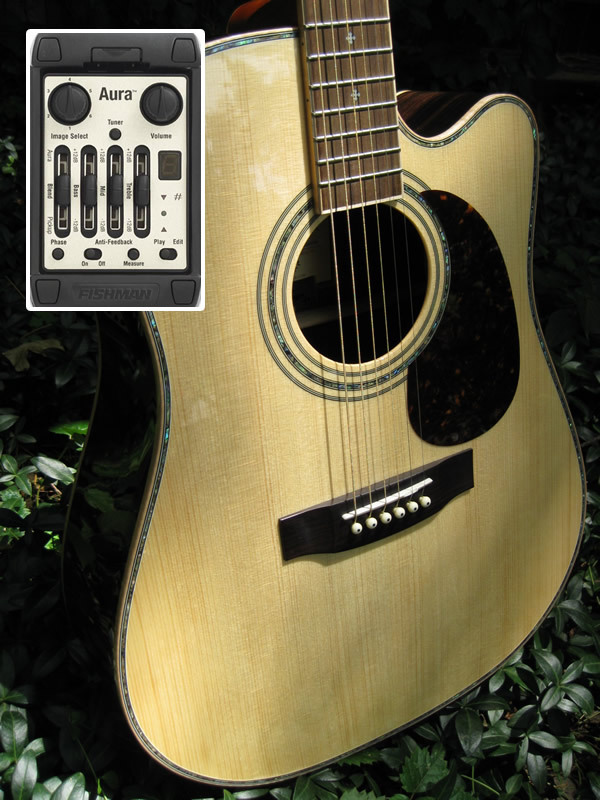 The Zad 20 is equivalent to the martin and a little less bass than the 000. The quality is much better than the lower priced martins I have played. Fit and finish is about the same as the 2000 to 2200 martins. Being a professional antique furniture repairman. I appreciate the quality of the joinery and the setup. The finish is nice but uses modern materials so it won't approach the finish on older guitars. Probably in the 1000 to 1500 price range. I purchased my Zager used although it had never been played and still had the film cover on the top so I have had no experience with customer support. I expect that I will have some contact with them when I purchase an 80 model. This guitar is a good buy and it comes with an excellent setup. Other guitars I have had all came from the maker requiring a 100 to 200 setup charge from a local luthier. I've been playing the guitar since 1967. Now that I'm older I have arthritis and carpal tunnel problems and just about gave up playing because of it.A sales person at a Sam Ash store suggested I try a nice 00 Martin they had for about $2200. Well the Martin was very nice, and expensive, but I wasn't thrilled. I started to seach for a used B.T. on Ebay and bumped into a link for the Zager web page. I'd call it the happiest of accidents in retrospect. I've had an Ovation, Epiphone, Aria, and Guilds for acoustics, Fender, Gretch, and G&L for electrics. The Ovation was my favorite acoustic for ease of play, and the Guild is a vintage Westerly mahogany dreadnought which has a big deep voice. The Zager Parlor has an even lighter touch than the Ovation, almost approaching that of a good electric right out of the box. I tweaked it a little more with a very slight neck adjustment and removed a shim that was under the saddle. I emphasize that the neck adjustment was light and probably due to the temperature(90+) from sitting in a hot UPS truck and the removal of the shim was due to a personal preference due to my stlye of play. Ease of play is incredible.It is easy to bend notes, hammer on, or pull off. In fact I'm having to consciously lighten up and try not to be too heavy handed. The finish is beautiful. The volume and tone is amazing for a guitar this size and price. I read some reviews that criticized it for it's lack of bottom tone. I disagree. It has plenty of bottom voice. Not as big and fat a sound as a good dreadnought, but for it's size it's amazing. So let's compare apples to apples. It out sings a Martin hands down, and completes with plenty others costing twice as much. Oh, the wood is gourgeous too by the way,obviously high grade. $500 -$600. There are some solid mahogany high quality, not fancy, baritone ukeleles out there that cost that much. Personal, attentive, very responsive and appreciative of your business. The guarantee cannot be beaten which is what helped me decide to try one. When a company stands as firmly behind their product as Zager does it's a good bet that it is a quality product or they would go broke taking back returned guitars. The guarantee speaks for itself. Absolutely! I have already recommended them to a friend of mine who has the same hand problems I do. These guitars would be immediately appreciated by an experienced player who has a lot to compare it to, and would keep a beginner from getting too easily frustrated. Another thing that was important to me is that it was MADE IN THE USA. Playing the guitar is something that has always been a meditative, trancendental kind of thing for me, so being able to play again goes way beyond just finding a decent guitar. Thanks Denny and Dennis! 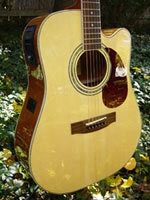 I found out about Zager guitars several months ago while looking around on-line at guitars. 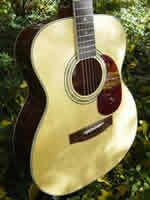 I was interested in a Martin thinking I would have to spend around 2200 or more to get a great guitar. I unpacked the zad80ce today and wow, this is one very nice guitar. The playability of this guitar easily rivals a 3,000 guitar. Smooth action and no buzz. I had an Epiphone which was stolen quite a few years ago and thought it was a great guitar but it was not this nice. If I didn't know the price I'd say it was easily in the 2,000 to 3,000 range. I am impressed! It's difficult to get good customer support but you guys rock! Dennis always answered my questions with real professionalism and never pushed. Kind of rare these days in sales support. I would absolutely recommend this guitar. If you want a high end guitar without the high end price, a guitar you can be proud of and that is very playable and will make you sound better as a player, this is it. Some recent research on acoustic guitars through the internet lead me to your website. Didn't really plan to purchase but one thing led to another and now I'm the proud owner of a ZAD80. Very happy about that as well. Over the years, I've played a number of acoustic guitars; Martin, Ovation, Gibson and an Epiphone that is approaching fifty (my first guitar). The ZAD80 is superior in action and definitely on par for tone with some higher end guitars. Playability. I haven't quite figured out why but in general it's an instrument that plays easy. Not really sure how to describe. Outstanding. Almost instant reply to messages. Yes, for your attention to detail and quality. The instrument I recently purchased was discounted due to a cosmetic flaw. I'd give the guitar to anyone and challenge them to find it. That says something about your quality control. You are a pleasure to deal with. Thank you. I first heard about Zager when I was researching guitars in 2004-2005. First let me point out that the guitar I purchased from Denny was a ZAD-20, not a 20, but there was no option to choose that model. I used a 3/4 size Guild when I was in College (in the 70's) and purchased a Madeira from a local NYC shop that was closing it's doors in the 80's. The Madeira was definitely NOT an EZ play guitar...and it was probably what kept me from playing a lot more in those years. I bought a few lower end Washburn models off the internet and the ZAD-20 outshines them all...soundwise and playability. I gave the Madeira and one of the Washburns to my son but closely guard the ZAD-20 as my favorite. I may update that from Denny's collection soon as I am slowly becoming more adept at this instrument. I can play for hours now (calloused fingers help) and my wife actually enjoys my "concerts". I have NOT spent a lot of hours playing guitars in the box stores (Sam Ash, Guitar Center, etc.) but I intend to do so. I do NOT think I will find anything near the price I paid for the ZAD-20 (or the updated model prices) that will sound so sweet and play so easily. Definitely the ease of playing. The sound is a function of the strings against the frets and unless you can get a clean contact the sound will never be good. I don't have to worry about it when I am playing the ZAD-20. I would say around $750 or so. My son is a musician and lives with several guitarists. I have played their Gibsons and various other models and I would say my ZAD-20 is right up there with their instruments. I have never had a problem so I would not know. I did write to Dennis Jr. and got a response within the hour which was a pleasant surprise. Yes. You cannot beat the price and the unlimited warranty including shipping both ways is simply the best testimonial to the Zager line. Pretty finish as well. I am sorry I rubbed off the signature on the back but after years of use it was to be expected. May Denny can come to NY and re-sign it? All of it. and the fact that everyone that plays it is blown away. Friend of mine has a Martin, nice guitar... Until he played mine. He was amazed at the tone and playability. I played his Martin. Did I say play? I mean I fought his Martin. I had my finger on the Ebay "Buy Button" for an Acoustic/Electric Martin until I saw and heard the Zager from another Ebay Auction. Wow! Youtube was another wonderful place to see and hear the Zager Guitars. 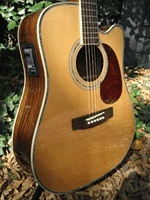 I have tried many Acoustic Guitars at Guitar Center and every single one of them doesn't compare to the ZAD80CE! They just didn't ring out the Chords and the buzzing strings were annoying. I have been playing for almost a year now, but embarrassed to admit that I have never learned Guitar Chords, because it was so difficult until now. I am truly amazed at how well the Chords "ring out" on my new ZAD80CE. It is actually enjoyable to learn a new Chord Each day. Thank You! Thank You! I would have paid at least $1750 for this guitar. The prices are way too low. I imagine in the future that the pricing will have to change because of the Laws of Supply and Demand. Dennis has been amazing. He has a Live Chat via the Zager website. I emailed him a question and literally 5 minutes later, he had an answer! I would recommend this guitar, because of its ease of use (ie. the EzPlay Setup) and the guitar is absolutely gorgeous. I definitely made the right choice purchasing the ZAD80CE. I can tell that Zager is looking out for "our" best interests and not theirs... There aren't enough American Companies like this anymore. Please keep up the great work guys! I can't praise the support enough. Every comunication I have had seems like I am dealing with a very good friend or family member 10 x 10 is not even close. yes I have and will continue to do so. I have two teen age grand daughters who have just decided to learn guitar. As soon as I am sure that they will stick with it , they both will recive a Zager from me. I am very sorry that I didn't discover Zager sooner. Denny is very honest and will never need to put someone elses name on a guitar just to sell it for a few thousand dollars more Like all the major guitar makers do. Just came across it online. much higher than what I paid for sure. I have already recommended it to my brother and he bought one and loves it. I recommend it to everyone. 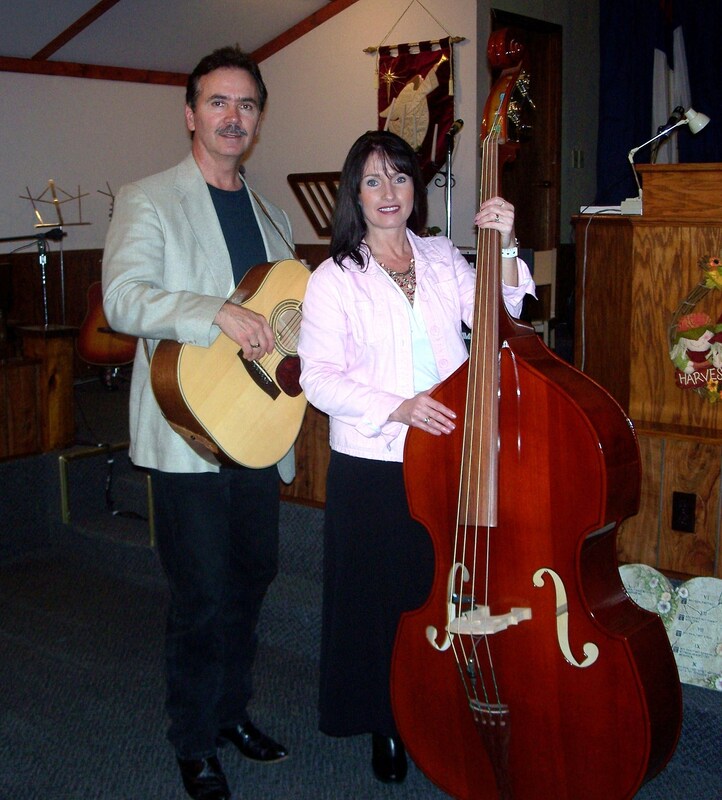 My wife and I play southern/bluegrass gospel music and we play in a lot of churches and jams around NW Indiana and my Zager ZAD20 goes with me everywhere. I just love how it plays so easy and is just a beautiful guitar and sounds great. I would someday like to have a ZAD80 too. I'll put it on my wish list for Santa...ha. Anyway, I highly recommend the Zager guitars for anyone from a beginner to a pro. Can't go wrong.